Yes, we do. Because children are just as vulnerable to the most common oral health problems, we’re committed to meeting the dental needs of your entire family. How often should I see Dr. Brody? We recommend visiting Dr. Brody at least twice a year for routine checkups and dental cleanings. These visits are important because they give us a chance to look for changes in your oral health that need to be addressed. This cosmetic dental service uses thin pieces of porcelain to transform the appearance of stained, cracked, chipped, misaligned, or oddly spaced teeth. It’s one of the most popular cosmetic services currently available and only takes two appointments to complete. If you’re anxious about smiling because of embarrassing tooth stains, you may be a great candidate for teeth whitening. 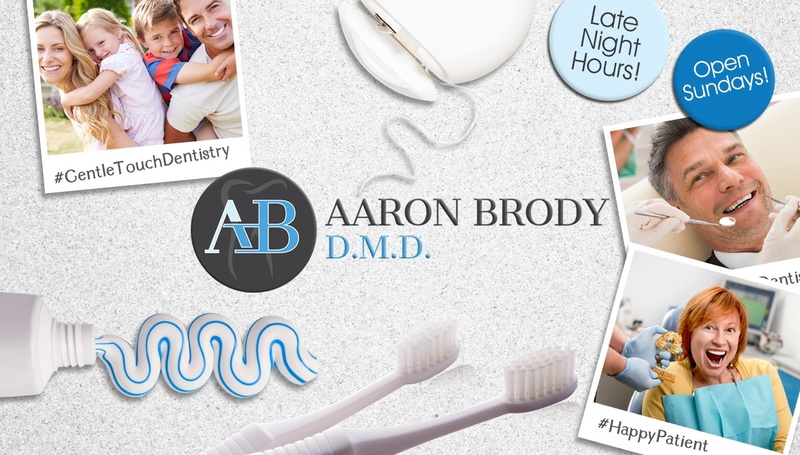 Dr. Brody offers two effective whitening solutions: in-office whitening and take-home whitening. If you’re considering this service, we would be happy to help you choose one of these two solutions. Do you offer complete implant care? If you’re planning to have one or more teeth replaced with dental implants, you’ll be happy to know we can do both phases of care in our own Englewood, NJ office with the team you already know and trust.